Our mission is to support the Church in fulfilling Christ's call to evangelize and disciple children and their families. 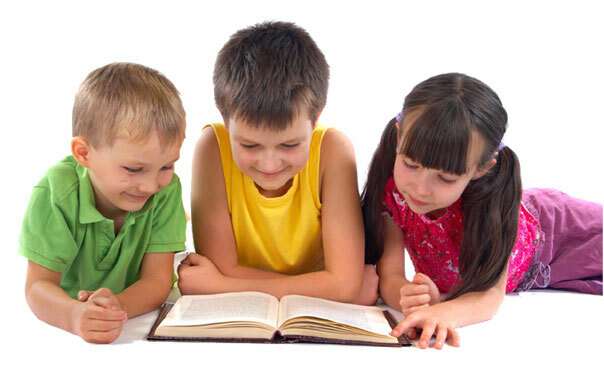 Our commitment is to create high caliber, spiritually engaging, Christ-centered Vacation Bible School curricula whose profound, grace-filled content and Christian world and life view are presented through fun-filled challenge and adventure. Our materials reflect our conviction that the Bible is God's Word, completely true and trustworthy. Our curricula have been written by members of the Presbyterian Church in America committed to conforming their teaching to Biblically reformed theology. Placing a high priority on knowing and caring for our customer churches and their Vacation Bible School directors, Reachout offers free, personal coaching by seasoned Reachout VBS directors who provide expert advice, individualized planning help, and prayer support. Client churches are also networked if desired with other area Reachout churches for in-the-trenches fellowship, encouragement, and sharing of resources. God's plan for Reachout's VBS materials had its inception in the 1950's when the Rev. William B. Leonard, Jr. (PCA), and his wife, Helen, of Colorado Springs, Colorado, were introduced to an exciting Vacation Bible School written by Dr. and Mrs. Wilbur Wallis of St. Louis. Enthused about this unusual VBS, the Leonards' hearts were set on creating a thematic Bible school of similar high caliber for the children in their own church and community. They spent the next 30 years engaged in an innovative VBS ministry that drew hundreds of children to their church each year, bringing many to salvation in Jesus Christ. The Leonards' highly effective work so inspired other churches around the country that up to the time of their retirement from the pastorate, the Leonards received a steady stream of requests for help in implementing their approach in other congregations. In reply, Helen, lacking published material, wrote numerous personal letters to convey their Bible school concepts. Due to the demands of the pastorate, publishing a formal curriculum was not a possibility. God was yet to send one three decades later. The Leonards' children eagerly attended their parents' Vacation Bible Schools and, even in their early years, helped in preparing them. 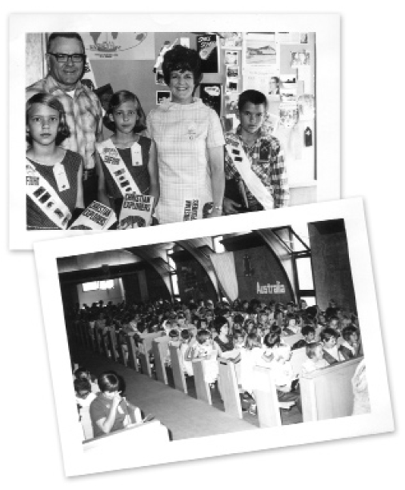 When youngest daughter Anna became a Christian Education Director in 1976 at Westminster Presbyterian Church (PCA) in Muncie, Indiana, one of her first tasks was to help direct a VBS program using a commercial curriculum. The contrast in quality between what was available on the commercial market and the exciting, high-caliber Bible schools that she had experienced in her parents' programs was so great that Anna felt called to develop a curriculum based on her parents' concepts. This she did along with her mother, Helen, and the people of the Westminster congregation, and the seed-bed of what would later become VBS Reachout Adventures was planted. In 1979 the Lord again moved when, as Christian Education Director at Green Lake Presbyterian Church (PCA) in Seattle, Washington, Anna was challenged by her pastor and brother, Stephen Leonard, and John Pickett, pastor of a nearby PCA church, and his wife, Susan, to develop the VBS materials for use by their two respective churches. From this association came the creation of the present four themes of Reachout Adventures' rotating sister schools: Summer Seaquest, Olympion, Upward Bound, and Genesis 1: Space Probe. After three decades, the materials finally were crystalized into a comprehensive curriculum. Over the next few years so many churches expressed interest in using the curricula that VBS Reachout Adventures was formally created in the 1980's. Many members of Green Lake Presbyterian Church, as well as pastor Stephen Leonard and his wife, Bronwyn Rayburn Leonard, played a very significant role, not only through creative contributions to the materials, but also through their vision, encouragement and steadfast support. Beginning in 1983 Bronwyn authored Reachout Adventures' Bible lessons and daily Bible reading, giving the curricula the wealth of insight, depth, and applicability that, by God's grace, have become hallmarks of this ministry. Bronwyn passed on to glory in September of 1996, after a three-year battle with cancer. In the ensuing years, God has given many individuals a heart for this ministry, and they have given themselves to various aspects of its development and enhancement, keeping it fresh and relevant to the current generation of children. For these talented contributors we give God deepest thanks. What began as a project for one church God has broadened into a ministry to churches not only nationwide, but overseas as well. On March 27, 2003, Helen Leonard crossed the river and entered Heaven's gates; Bill followed her on September 21, 2015. They undoubtedly were met with great celebration and reunited with many whom they led to Jesus Christ through their years of ministry in VBS and to Christ's Church. May this be true of each one of us when we finally see Him face to face.